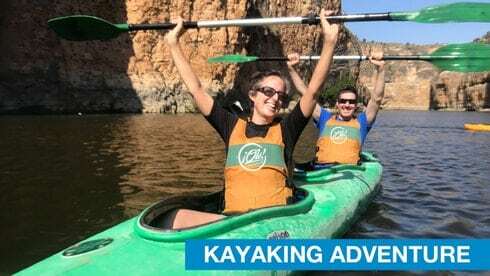 Enjoy a water sport kayaking close to Madrid. Paddle in river Duraton Natural Reserve. 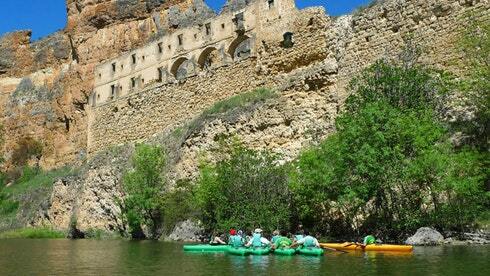 Watch wildlife and row under the old ruins of the XIII century franciscan monastery. 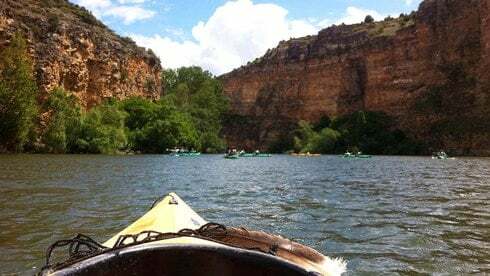 Kayaking in Segovia is the perfect water adventure and day tour close to Madrid. 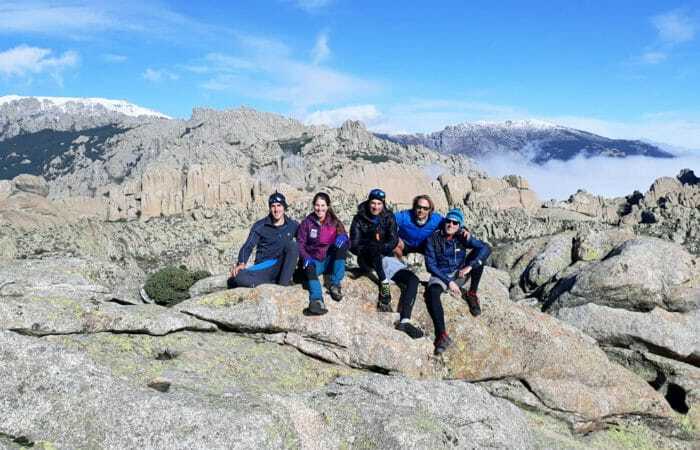 Discover the River Duratón Natural Reserve in Segovia with DreaMpeaks Kayaking Tours. Transport Included. Our Kayaking Tour is the perfect outdoor activity to explore by water the restricted natural reserve of River Duratón Canyon. 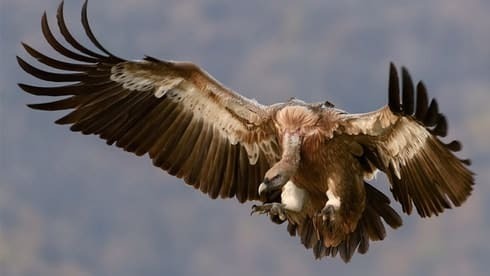 Imagine kayaking the calm waters surrounded by 100 meters limestone walls, home of the biggest colony of griffon vulture in Europe among other raptors. Watch wildlife and row under the old ruins of the XIII century franciscan monastery of “Monasterio de la Hoz”. An unforgettable experience! And after the kayak adventure, optionally you can enjoy and share a tasty Paella in a traditional restaurant. We love slow food and authentic fresh cooking with the best products. Menu includes mediterranean salad, home made paella (vegan paella available on demand), dessert and 1 drink (beer, refreshment, water or wine). 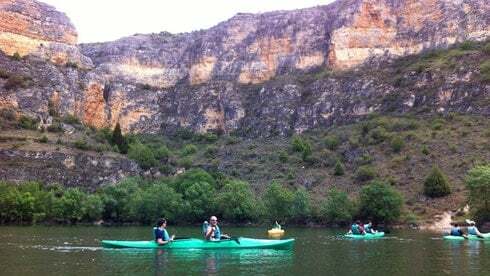 DISCOVER KAYAKING IN SEGOVIA CLOSE TO MADRID WITH DREAMPEAKS DAY TOURS! Kayaking Tour in River Duratón natural Reserve (4 hours approximately). 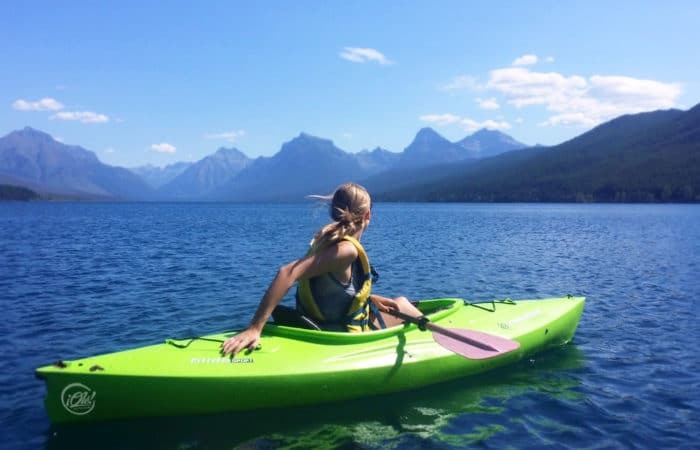 Perfect day on the water. We were lucky to have the canyon to ourselves. The guide was so knowledgeable about the history and wildlife. Kayaking as vultures fly overhead. Unique experience! our guide was amazing… funny and super helpful, called Jorge. Alberto the local guide knew all about animals nearby. the kayaking was so much fun!